The camera and post production teams at ONSIGHT are proud to have facilitated and delivered the upcoming drama, Doors Open, for Sprout Pictures. Starring Stephen Fry, Douglas Henshall and Lenora Critchlow, the story is a dramatisation of Ian Rankin’s novel of the same name. 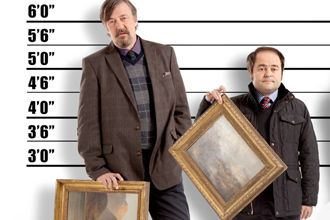 Published in 2008, the book revolves around Mike Mackenzie, a wealthy man who instigates a thrilling art heist set against the backdrop of Edinburgh, targeting the National Gallery of Scotland. ONSIGHT’s Colourist Andy Lee graded the show in their DI Reference Suite, working closely with DoP George Steel. The summer was dominated by the success of London 2012 and this month sees the release of First, The Official Film of the London 2012 Olympic Games. 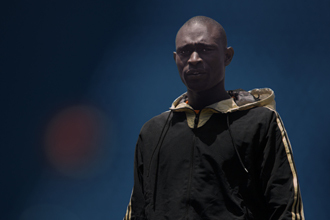 The story focuses on the experiences of twelve international athletes, competing in the Olympics for the very first time. ONSIGHT is proud to have provided full production facilities to help capture this sporting history like never seen before. First is written, produced and directed by Caroline Rowland, Founder and Executive Creative Director of New Moon. The film is independently financed but is supported by the International Olympic Committee (IOC) and the London 2012 Organising Committee (LOCOG). The Bristol-based biannual event is back and in its 30th year, celebrating and supporting the wildlife and environmental film-making industry. With a wide variety of festival programming, one of the many highlights is the 2012 Wildscreen Panda Awards on Thursday 18 October. The team at ONSIGHT is extremely delighted to see three of our projects shortlisted, in which we provided groundbreaking camera and post solutions. Congratulations to our clients Atlantic Productions for Flying Monsters 3D (Sky) and Oxford Scientific Films in association with Principal Large Format (National Geographic Channels) for Meerkats 3D. Both have been nominated for the 'Best 3D Award' in a very strong category. A further congratulations goes to Atlantic Productions for their most recent production Kingdom of Plants 3D (Sky), in the running for the Disneynature Innovation Award. It is also fantastic to see none other than Sir David Attenborough nominated for the Presenter-led Award for Flying Monsters 3D, after 60 years in broadcast. The team is thrilled to facilitate the BBC's Mr. Stink in both 3D and 2D. 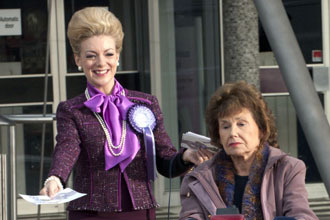 The new project is shooting in the UK, starring Hugh Bonneville, Sheridan Smith and Johnny Vegas. From this week's Broadcast Magazine, details of our involvement are announced as seen here. ONSIGHT is providing cameras and stereoscopic post-production services for Mr Stink, the BBC’s first scripted 3D programme. 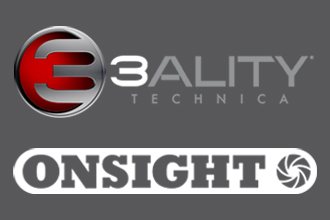 ONSIGHT is proud to have strengthened our ongoing relationship with 3ality Technica. For more info, our joint press release is below. U.S-based 3ality Technica, the world’s leading 3D production technology innovator and provider, has formalized its long-term relationship with its European service partner ONSIGHT, with ONSIGHT acting as an independent 3ality Technica service contractor for all of Europe. ONSIGHT joins existing service partner Arri-Media to enhance the level of service offered across 3ality Technica's product lines.